Tech colossus Google first introduced its new design principles in 2014, apty called Material Design. Since then, it’s been renamed Material Theme. And, its elements have been applied to a number of Google’s products, including Drive, Translate, Photos, Calendar, Tasks, and Gmail for the web. 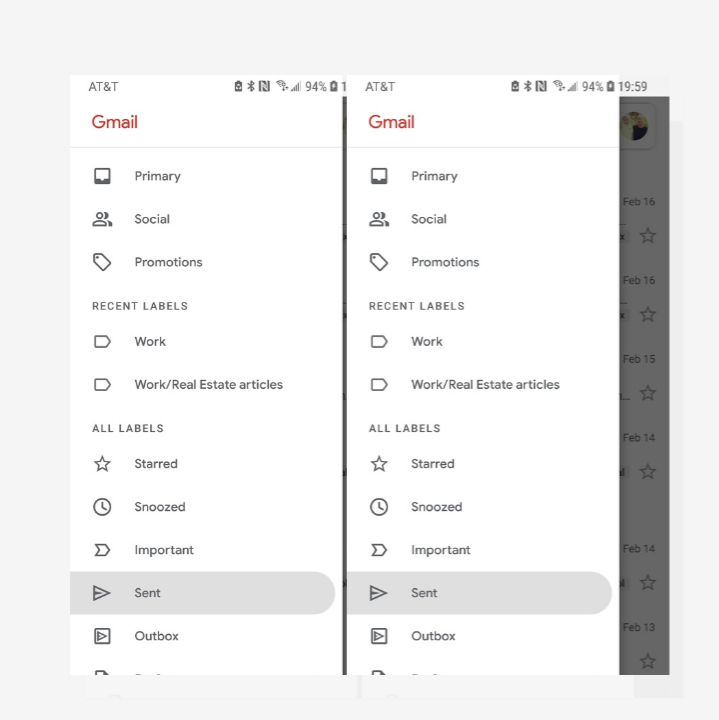 Now, the same elements are coming to Gmail for mobile. 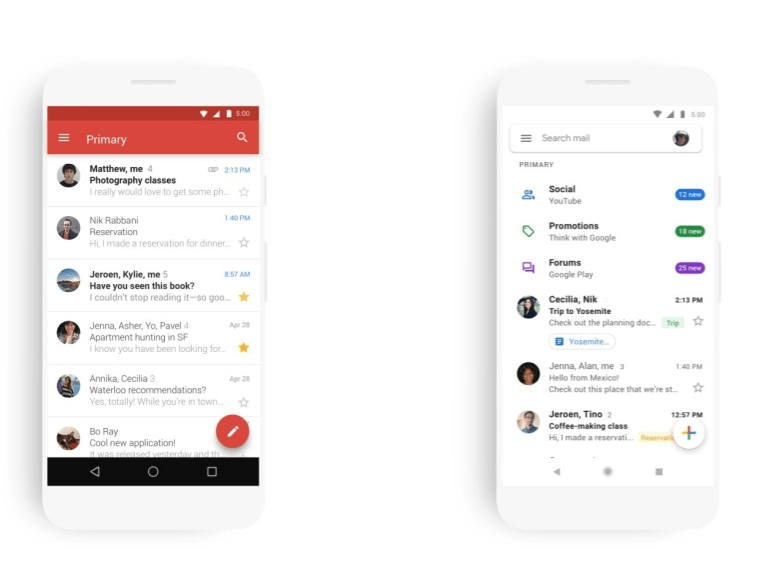 The new Gmail Material Theme update includes plenty of white. It sheds the familiar red header in favor of more white space and brings a cleaner UI. Although the functionality isn’t that much different, it does carry over the new multi-colored compose plus sign. Also, the static header is now an active search bar. Additionally, it includes a new way to switch accounts on the fly with a shortcut.